Alright, so calendar fail on my part, thought this rally was next weekend. We’ll have to do this quick and dirty. 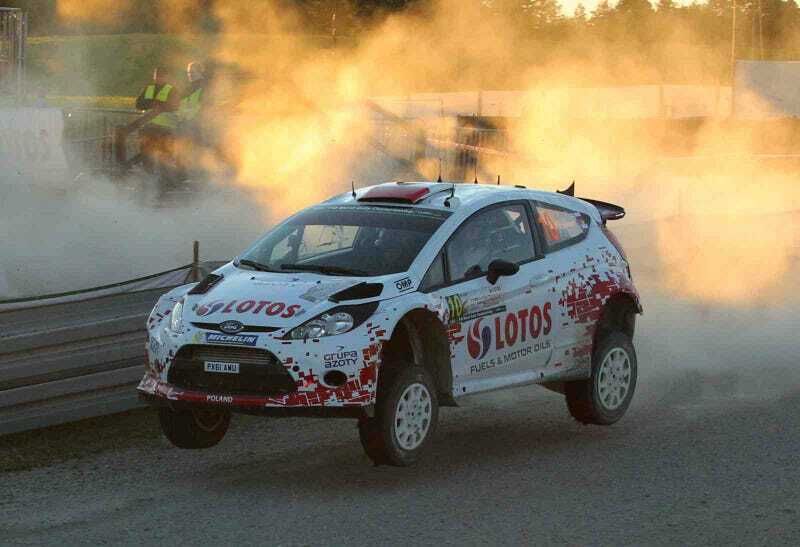 Rally Poland is a “new” event on the WRC calendar, with last year’s running having been the first time it was run since 2009, and the second time in about 40 years. This means most drivers only have one year’s worth of notes and experience to work from. The roads themselves are very fast, but with corners over crests (sometimes with no trees or objects to work as reference points) and the odd rocky surprise in the road, it’s also a very unforgiving event. Of the current crop of drivers only Seb Ogier has ever won here, and he is certainly the favorite this time around. With Lumpy44 failing to make picks for the last round we have a new sheriff atop the leaderboard, as marric takes control of the standings. Lumpy44 falls all the way down to sixth, but don’t be fooled. With the drop system he’s still very much in contention. And now, game time! Here’s the official Entry List, and the always useful season of our Fantasy WRC is here, just waiting for your analytical eyes pretending to look at something important while your boss walks behind you. And while you’re at it, you can also look at the driver’s data and statistics.